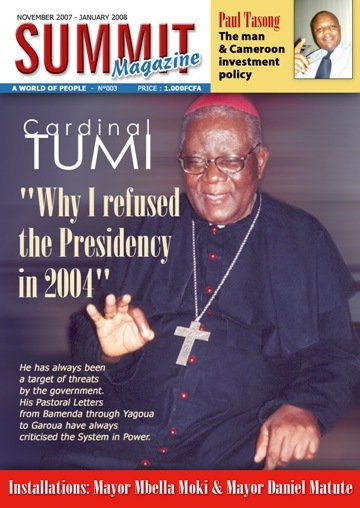 He was a man who never got the recognition that he deserved in his native Cameroon, even though he was one of the country’s most internationally acclaimed writers, with poems and novels that were celebrated across the globe; he was a man whose political choices infuriated and confused many of his fans who believed that he had turned his back on his people; he was a man who shunned Western religion for his own indigenous religion called Esimo ya Mboka; he was a man who would rather be labeled as ‘mad’ than change his appearance to conform to society’s expectations; he was a man who went out of his way to live a very basic and even Spartan life, devoid of the trappings of materialism, in a society which worshipped wealth to the point of insanity. 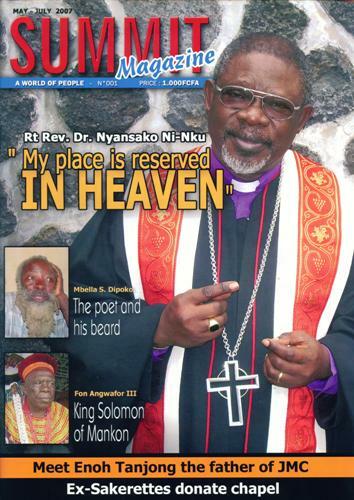 That man was Mbella Sonne Dipoko, the poet-novelist, politician and traditional ruler of Missaka, who died last December 5 in Tiko in the Southwest region of Cameroon. 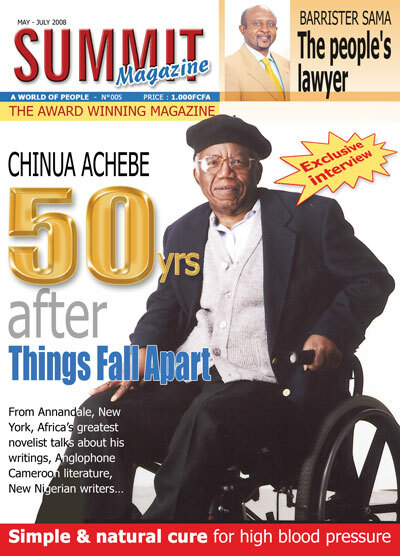 In this commemorative issue, Summit Magazine revisits and celebrates the colorful and controversial life of a literary giant and a political maverick whose passing has left a huge gap in the country’s literary, cultural and political landscape. The November-January edition of SUMMIT Magazine hit the newsstands recently and is already making waves with its high quality and content. 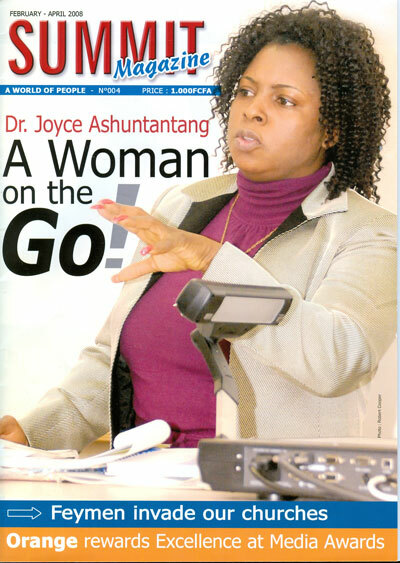 The exquisite silhouette 48-page glossy magazine is now in the first rank of magazines anywhere in Cameroon, according to those who have perused the cover-to-cover must-read issue. 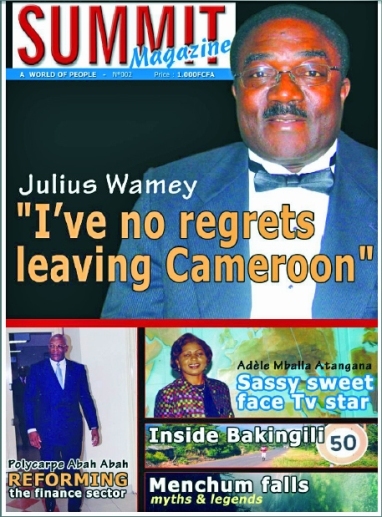 After its much publicized and widely-acclaimed maiden issue a couple of months ago, Summit Magazine has confirmed that it is a force to reckon with on the Cameroonian media landscape with its second issue. Unlike the maiden issue which focused exclusively on people, the second issue diversifies considerably with articles on tourist attractions such as village of Bakingili at the foot of Mount Fako and the legendary Menchum falls.